As technology transforms how companies are interacting with their customers, field service in particular faces extensive challenges in evolving its model to meet the needs and expectations of the modern customer. How could your business revolutionize the way it manages field service from end to end, and what would it look like if companies were able to deliver personalized, smarter, faster service that transforms the customer experience? 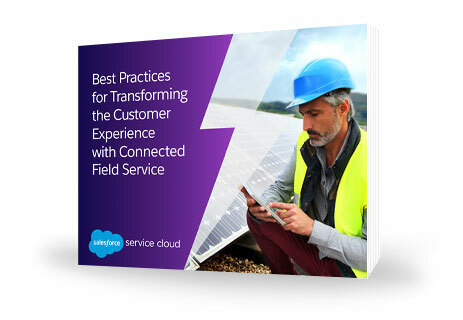 In this e-book, we present best practices on delivering connected field service for customers, agents, dispatchers, and field technicians. Download this e-book to learn new ideas for your service organization that you can start implementing today.